Ms. Marianna Boseman Willimason, 91 of Erwin, passed away on Wednesday, April 11, 2018 surrounded by her loving family. Ms. Williamson's funeral service will be held on Friday, April 13, 2018 beginning at 11:00 am. at the First Baptist Church of Erwin. Rev. Thomas Greene will be officiating the service. Interment following the funeral service will take place at Greenwood Cemetery of Dunn. A Visitation will be held at First Baptist Church of Erwin one hour prior to the funeral service. 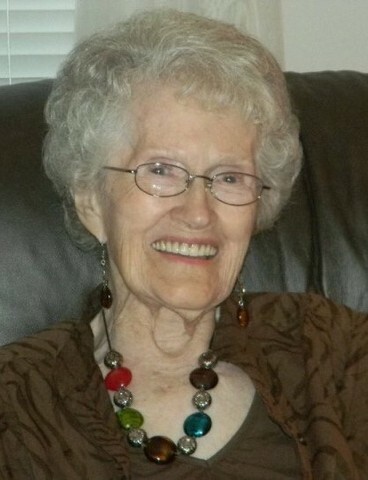 Ms. Williamson is survived by her daughter, Cheryl Phillips and husband Buddy of Dunn, son, Ronnie Williamson and wife Darnell of Dunn, grandchildren, Vickie Wilson and husband Michael, Nick Williamson and wife Lindsay, great grandchildren, Ava & Sawyer Wilson, Keegan Williamson, sisters, Jewel Laws of Goldsboro, Pat Corella or Raeford, Sue Perrault of Fredericksburg, VA.
Ms. Williamson is preceded in death by her parents, Russell and Lessie Boseman, husband, Slade Williamson, and sister June West. Memorials may be made to Liberty Hospice of Dunn, NC. A special thanks to Liberty Hospice and staff of Senior Citizens Village.